Nice pick with the horses , reminds me I did this with my grandfather back then and I'll keep this picture as a souvenir.It was very slow but was quite a feeling for a kid plus the crop was good . It is what you make it I guess. iriejohn - Read the above a bit more carefully. Oh, I've read it with the utmost care even moving my finger under the words while my mouth moved. Same result, sorry. I have had quotes artfully taken out of context by LetsFlyaKite on numerous occasions, but never have I had a quote attributed to me that I never had typed. iriejohn - I think you should clarify that the above "bla bla bla" was not in any of my posts, but rather you intentional created a quote and attributed it to me that I did not post. - But I can accept that this is an expression of you having trouble comprehending the premise of my argument. So I will give it another go at simplification for you. Light wind surfboards are difficult to ride. They need speed to develop lift off of their fins. They also need lots of skill to be turned around effectively without losing ground. Long runs can make up for this IF there is room for long runs. Having a good jibe or tack can make up for this too but that takes lots of skill and time to develop that skill. This makes Light wind surfboards not as good at going up wind in most real world conditions for most riders, and almost all riders at less than ideal locations. LWTT's are easy to ride, turn around, and develop upwind capability as soon as edged even at low speeds. Edging upwind happens at lower speeds than it takes a surfboard to develop enough speed to produce lift from the fins. Tacking and jibing are not an issue as you can just go the other way with a LWTT, so you don't lose ground on jibes or success rate with tacks. Please let me know where you are still confused. And what exactly is a "standard surfboard"? Thanks for pointing that out, and that is definitely subjective. Surfboards from prone surfing are divded into a few category's. Longboard, fun board, shortboard, gun - all of which have some overlap into different category's. "Standard" kitesurfboards would tend to fall mostly into the shortboard, and possibly, gun category of prone surfboards. 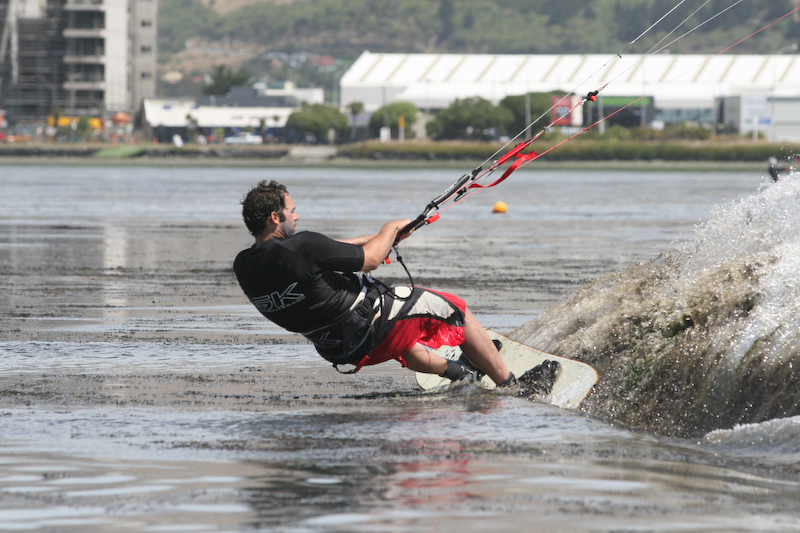 It is difficult to find a purpose built kitesurfboard that would be considered a "funboard" while prone surfed as they are too large for kitesurfing. Typical size/volume for a "Standard" kitesurfboard would be on the small side to too small to actually prone surf for a give rider weight or skill level. There is no market presence of purpose built kitesurfboards over 7feet long. So typically, a "standard" kitesurf board is going to be from 5' to 6', with 15 to 35liters of volume, and not much more width than 20inches. 3. Free race light wind kiteboards that have large fins to maximize upwind while sacrificing high speed turning. Matteo V , I think 3 and 4 are very close , the difference is the sector rider needs to know how to tack otherwise the big lwtt wins easy . I don't know if this is because I'm from windsurfing but for me directionals and surfboards are so much more fun even if the lwtt would beat me on an upwind leg because I have missed a tack , I won't trade for a TT . That's why I ride surfboards almost exclusively now and put up with their limitations. if foil never leaves water describing term is plowing. Sure, right, but can you plow like this? Or are these an exception to the rule because the foil came out of the water a few inches, does that make them cool? What if you kitesurf in 10+ waves? Would you still be sorry if you are on 6'2 step up. Especially, if you are tall and heavy. But not to digress to far from the main topic of this thread. There is one more factor that has not been taken into account - water state. Would LWTT still perform in breaking waves, whitewater mess, etc? And to pre-empt "jumping over the waves comments" - we are discussing light wind conditions. I have seen people trying to negotiate shore break on door like TTs in light wind and it was not pretty, although quite entertaining . Good point! Guns are a bit longer with the narrow tail reducing the surface area rear, thus necessitating some more length out front. Thanks for the correction, but it is more of an exception. Yup! I agree with you on this too. Small to medium TT's make fine wave boards for those that like that kind of feel. It is not my cup of tea, but it looks good. When you get to the doors, they are limited in the surf - like you said - to the point of entertainment for bystanders. Still, on the outside, they will get upwind better. I have had quotes artfully taken out of context by LetsFlyaKite on numerous occasions, but never have I had a quote attributed to me that I never had typed. Water conditions make all the difference. If there are surfable waves that you can get to, the surfboard will provide the most fun on the wave, and maybe it's no big deal if you have to walk back upwind every now and then, as long as you get your wave count. If there are waves but it's dead onshore and light, it's unlikely you'll get in a position where to ride a wave, so you might as well be on a lightwind TT / door and ride the shallows where no surfboard could go due to the fins. If there are no waves, and it's deep enough, no weeds, foil. I've spent quite a few years playing with light wind TT, finless, negative radius, like Litewave's Wing, or Spleene doors, although with more reasonable sizing (about 140x40), which made them not bulky or awkward under foot. On some conditions, they were the absolute tool for the job and would outdo all other options (TT, surfboard, skim). No fins, no drag, no catch on the shallows, and you can tap into some ground effect to provide a significant lift, use the surges by the beach to give you a few extra knots, and use the glide and consequent rail length to crank upwind. One example: shallow, weeds,... knifing through it!